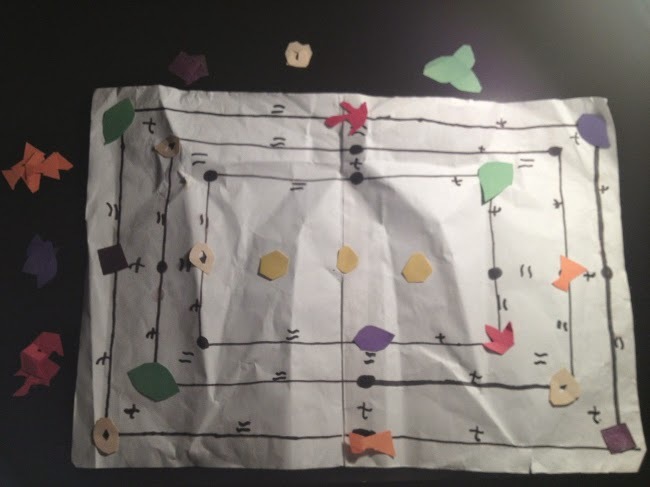 For his Elementia Campaign, Jeff actually made a board game for us to play. 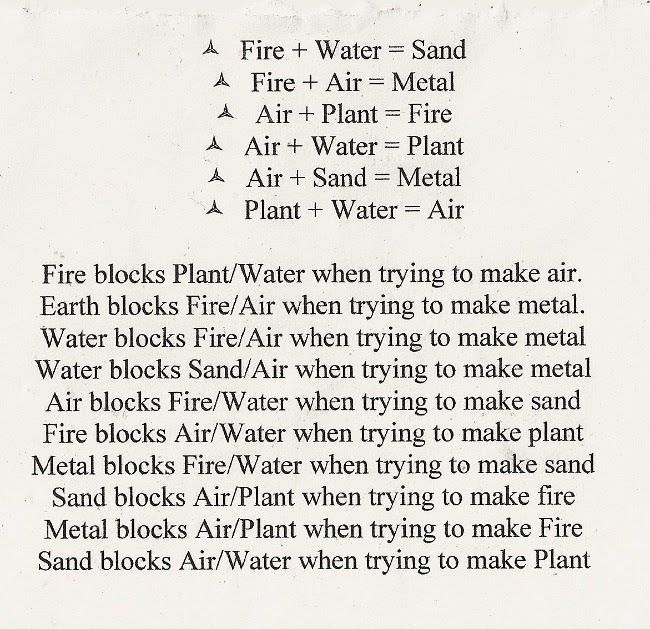 It wass called Elementics, and was designed to teach us about the elements. Jeff used this whimsical phrase to explain it. "Ashes remain from the dousing of flames; metal from air when the fire is tamed. The earth springs forth from water in flight; sand in the wind gives darkness to light." Using that, I played around against our DM to get some information out of an NPC. I won the first game and he won the second, and I had a lot of fun. I think this sort of thing really makes a D&D game. I encourage all DM's to go the distance like Jeff did.